English for Everyone: Level 3: Intermediate, Practice Book makes learning English easier. More than 700 exercises use graphics and visuals to develop English skills in speaking and pronunciation, reading, writing, vocabulary, and grammar. English for Everyone: Level 3: Intermediate, Practice Book covers the skills and topics needed for the major global English-language exams, including TOEFL, and uses the same testing methods so you can practice your skills and measure your success. 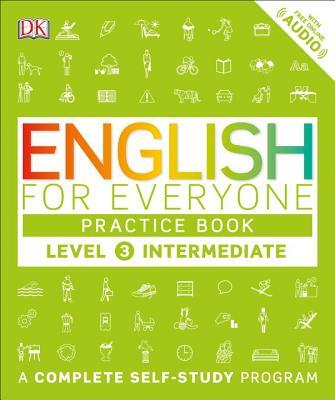 Use this practice book with English for Everyone: Level 3: Intermediate, Course Book so you can work with the books together. And, download the free app and practice online with free listening exercises at www.dkefe.com.